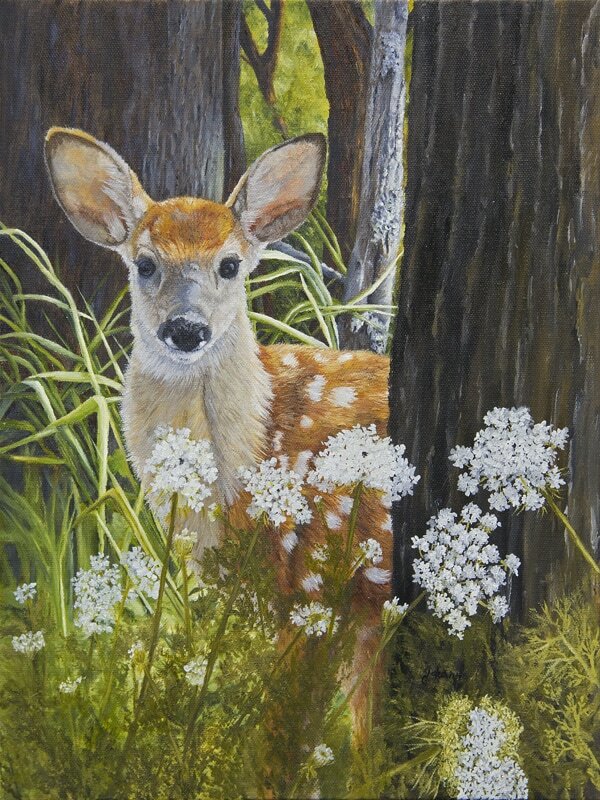 My painting of this little White-tailed fawn, reminds me of the many times on my walks of seeing fawns watching me from the trees or bushes. As they grew older, fawns were very curious as to why I was there. Often a doe would bring her fawns into my yard and it was such a joy to watch as they ran and jumped as playful babies.